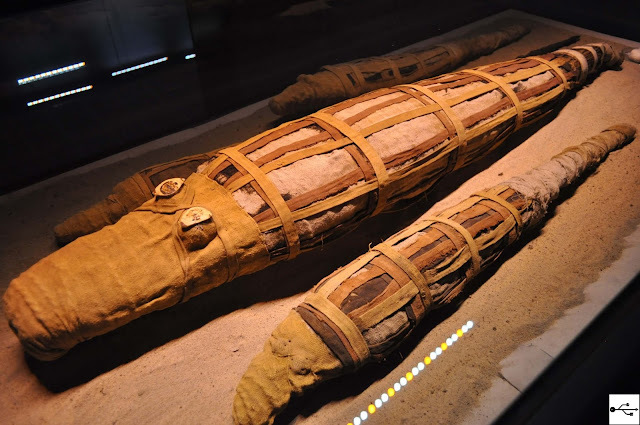 The mummy of crocodiles. 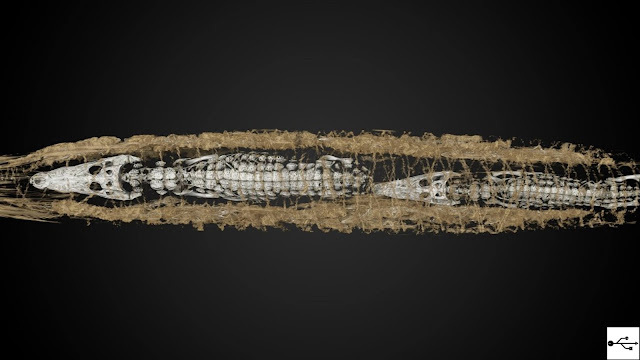 A series of scans revealed almost 50 infants reptiles mummified and wrapped next to two larger in an Egyptian bundle of 2,500 years ago . While preparing a new exhibit that will allow visitors to virtually dissect the mummy of a crocodile, the editors of a Dutch museum found a surprise: instead of the remains of two crocodiles, the bundle will contain almost 50. A previous scan, carried out in the nineties, had already shown that the mummy, almost three meters long, did not contain a single adult crocodile but two teenagers. But it did not appear traces of other animals. 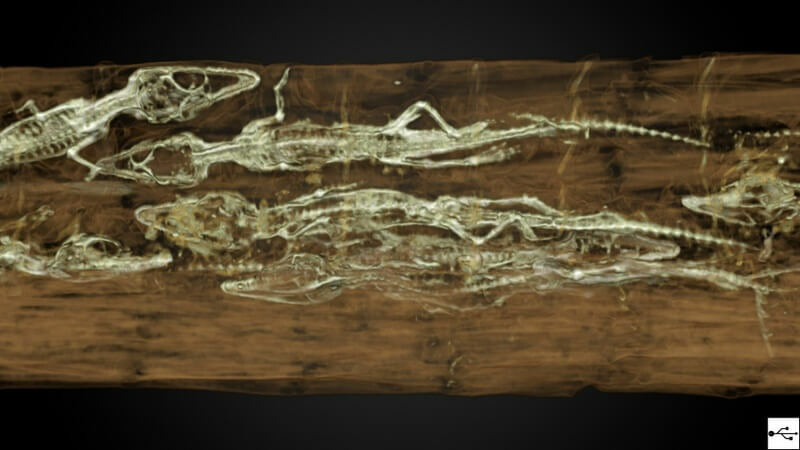 Here is the scan of the two crocodiles teenagers wrapped in bandages of mummification. 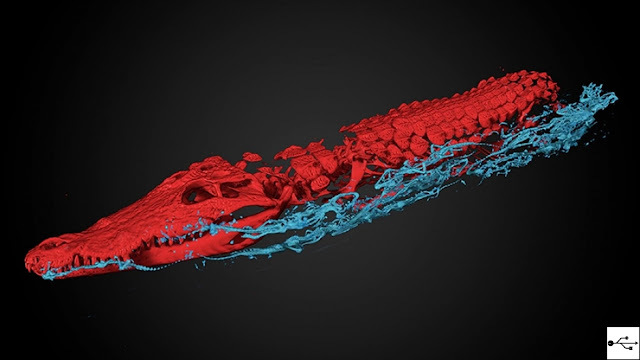 Only the most recent scans showed that the bundle contained other small reptiles. 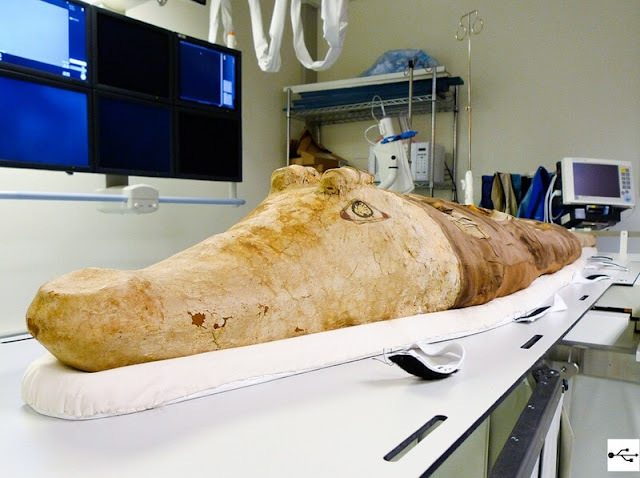 Already in 2010 at the Stanford School of Medicine a crocodile mummy had been analyzed through the TAC. In red, scanning the biggest crocodile, flanked by the small (in blue).